LG and Samsung have the habit of dueling throughout the year, launching thinner and thinner TV sets, curved sets, handsets with more processing power and lately unusual formats. I remember when LG launched a curved phone and then Samsung replied with the Galaxy Round. Now we get to see the LG G5 Edge as a very late response to the Galaxy S6 Edge. This one is supposed to be a 2016 handset, a concept phone created by uva7 dance. 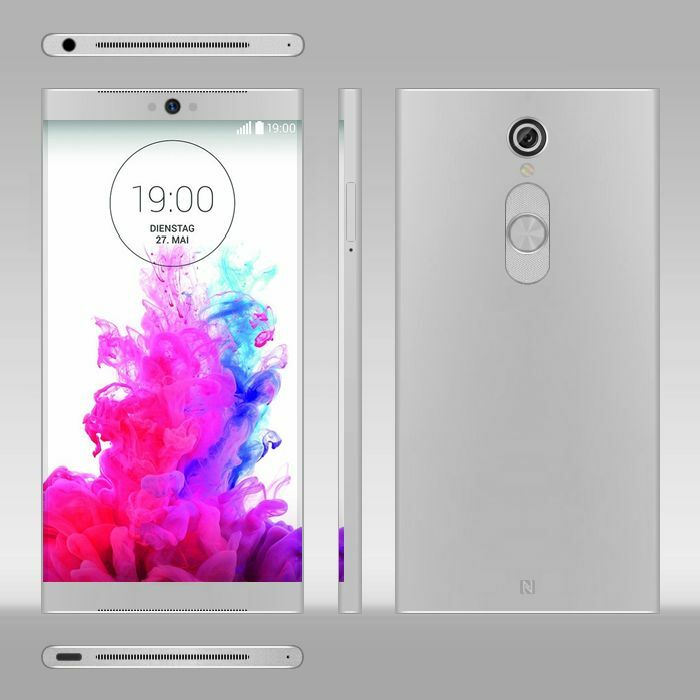 The designer envisions this as a second version of the 2016 LG flagship phone, the LG G5. The newcomer measures 6.4 mm in thickness, keeps the basic design traits of the LG G4, if you ask me, but also brings an interesting speaker approach. We’ve got a long earpiece at the top and what seems to be a big speaker at the top and bottom. The camera lens at the back is discrete and there seems to be no phase detection autofocus mechanism here. The main piece of innovation for the LG G5 Edge is certainly the curved screen edges, that are shown here. The idea of the Galaxy S6 Edge is replicated in a more square-ish way and the sides of the phone are now a bit bigger than on the Samsung device.